← BONNE SAINT VALENTIN DAY! 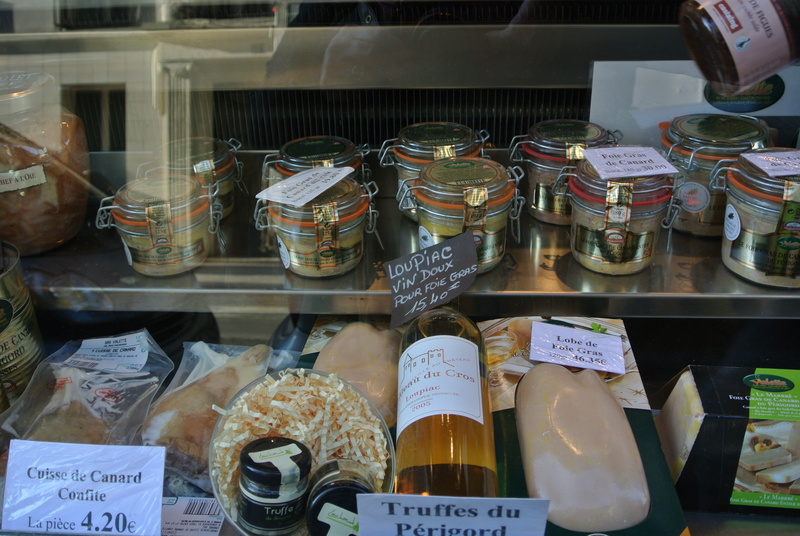 We decided to go to Saint Germain des Prés today just to walk around, shop a little and have lunch somewhere. There are always some street musicians to stop and enjoy as well in that area. I bought a beautiful little coat for someone special, that was so very French and very feminine. Then on to Oliver’s where we bought some lotions, soaps and creams made with olive oil. Just a few doors down from there I was surprised to find that a brand new Kiehl’s had opened and I couldn’t help myself but to march right in the door. My hands have been so chapped and dry, they really did resemble sand paper which happened so quickly due to the cold weather. Even though I have been wearing gloves, they got horribly chaffed anyway. One in particular was recommended by the very nice sales girl. She opened the cap and let a little ooze out onto the back of my hand. I rubbed it in and it was instant relief. It is so emolient and rich, I felt it might really help, although a little pricey, I bought it anyway. Last night I needed some relief so I used some olive oil, which helped a little, but I couldn’t go out with it all over my hands today. It is the Kiehl’s Intensive Treatment and Moisturizer. I think at bedtime I will get the most benefit or even a tiny bit before I go out. ( P.S. My hands are 80% better this morning!) Dare I tell you I also bought the Kiel’s Creamy Eye Treatment with Avocado, talk about rich, it’s fantastic. 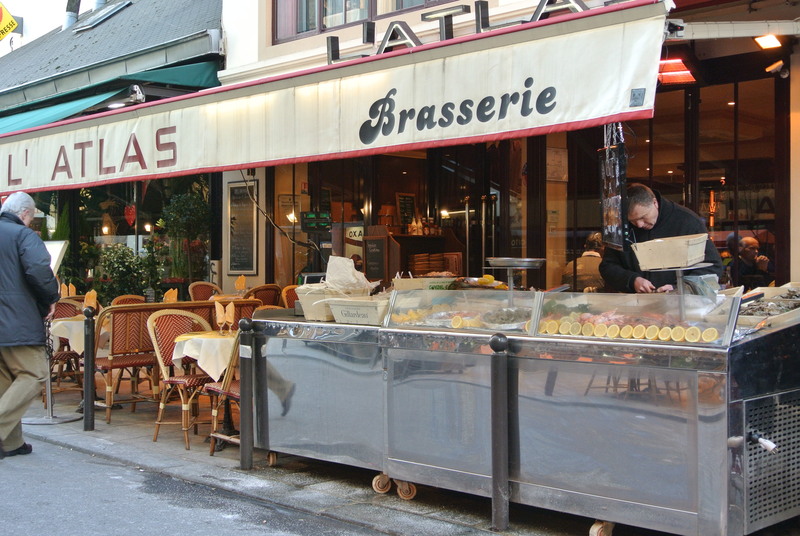 We walked by the Le Café de Flore which was very crowded with shoppers sipping coffee. Just a few doors down was the La Duex Magots, where Ernest Hemingway was a frequent patron. We came upon the Rue du Buci, I love that little street. It is so charming and picturesque. 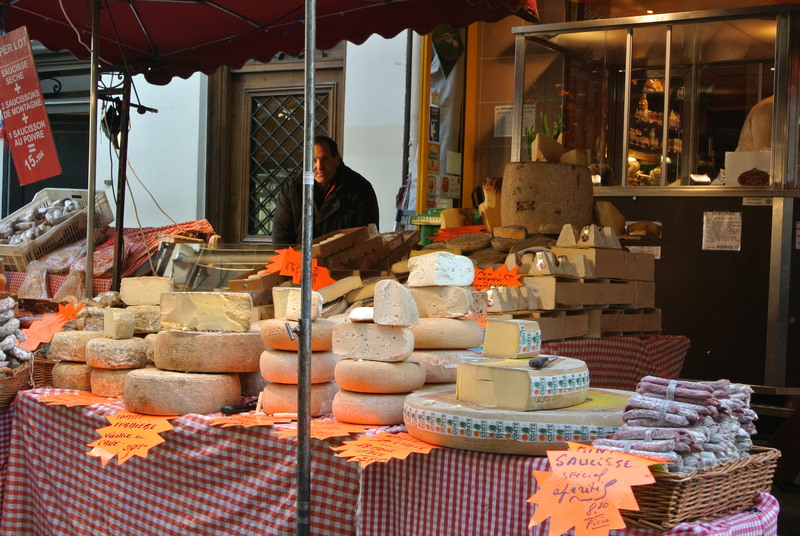 I have put up some pictures of the street carts offering cheese, seafood, produce, cured meats etc. Yes, he does say they offer calf brains! 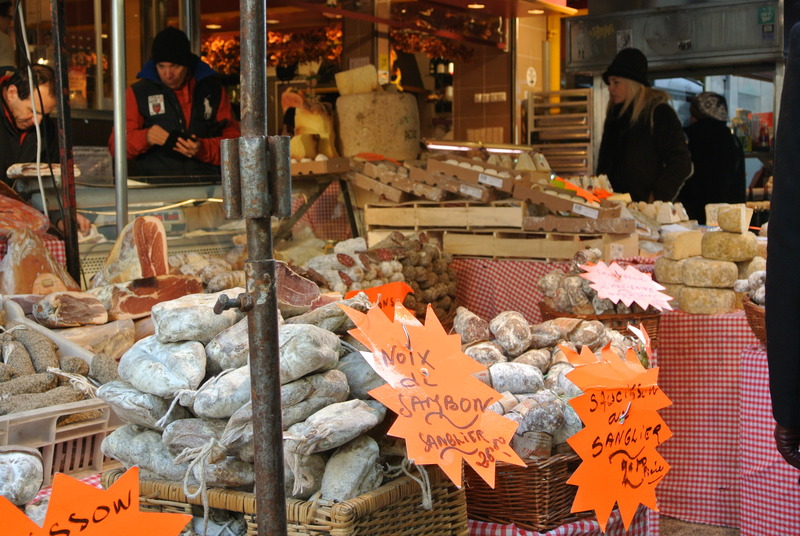 But, it is known for its great seafood platters and other great food. 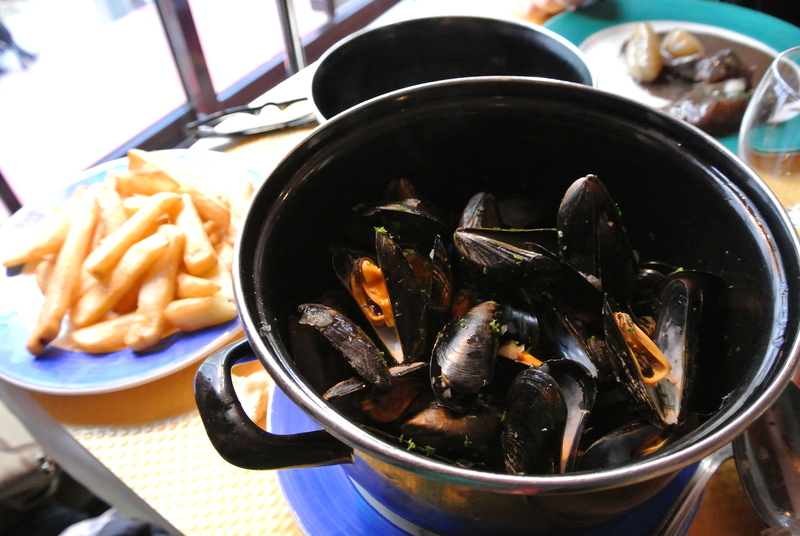 It is my favorite place to enjoy Moules Mariniére en Frites. Yep, that’s just what I ordered and while I was waiting I enjoyed a cup of Thé Vert. I must have said “I’m so happy,” about a hundred times. It was an absolutely huge portion along with the fries. No one does fries like the French to me anyway. It was so perfectly wonderful, I dare say how much I enjoyed them. My husband said it looked like I held my breath dove into the pot and did not come up until after they were all gone! 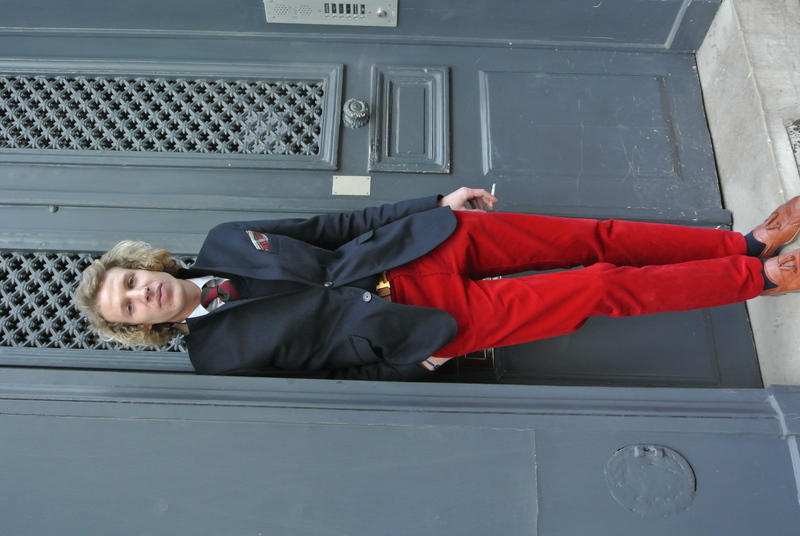 We decided to walk all the way back, about 2 miles, and along the way there was this wonderfully dressed young Frenchman in bright red pants. Yes, bright red pants. I couldn’t resist, I really wanted his picture and so I asked him if it would be alright. He couldn’t have been any nicer, he quickly responded, “we, we!” And so I took one picture. He asked where I was from, he spoke absolutely no English, so I struggled in French to tell him that I was from New York. He asked if I had a card, I told him I did not. I thanked him and he blushed a little. I caught up to my son several doors down and asked if he might have one and he did. 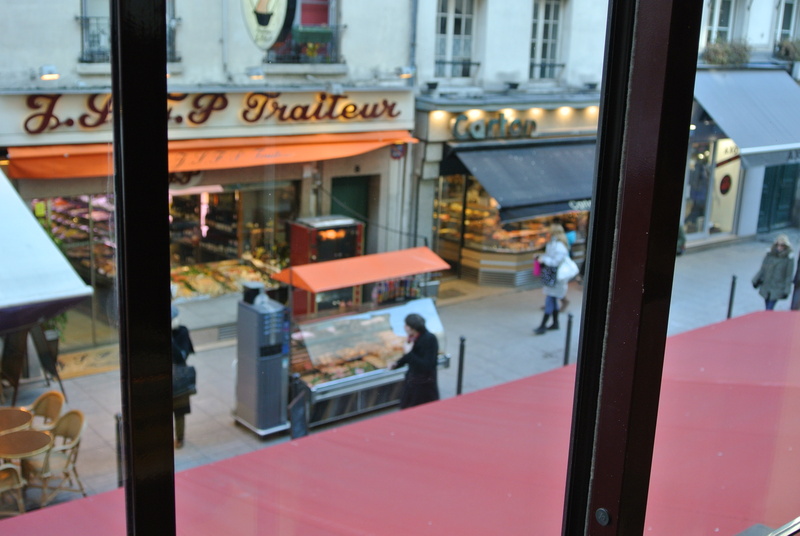 I immediately turned around and went back to give the card to the Frenchman who had been standing in the doorway. He was gone, oh what a shame. So I looked in a men’s haberdashery a few doors away, and there all the way in the back I could see the bright red pants. I went in and he was talking with another gentleman, I got his attention and handed him the card. Oh, how he thanked me, my son will use the photo on his website but I will put it up here for you. He really was dressed so handsomely. Okay, now you are going to get a kick out of this one. I think on Saturdays, I should post a picture of “Man Of The Week!” How much fun would that be? So stay tuned to see how that goes. 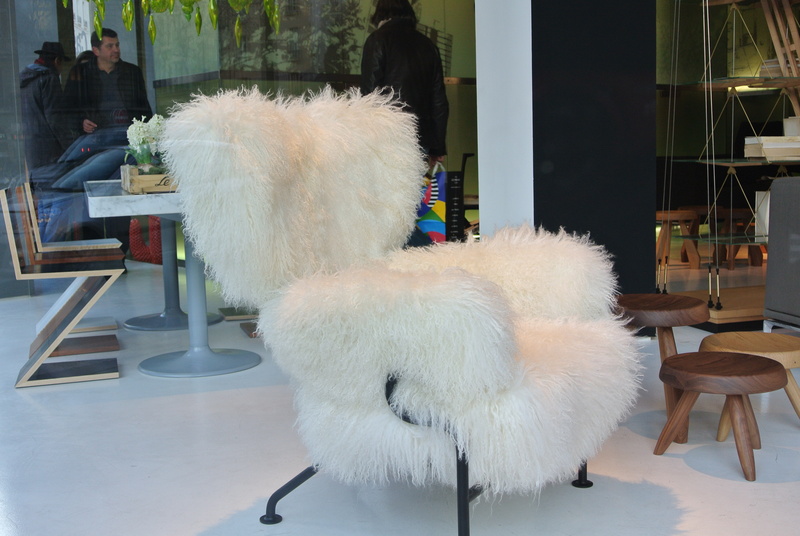 In case you have been looking for a large, white, shag, fur chair, I found it for you. It was in this great home decorator’s store window. If you interested, let me know and I can provide you with the address! 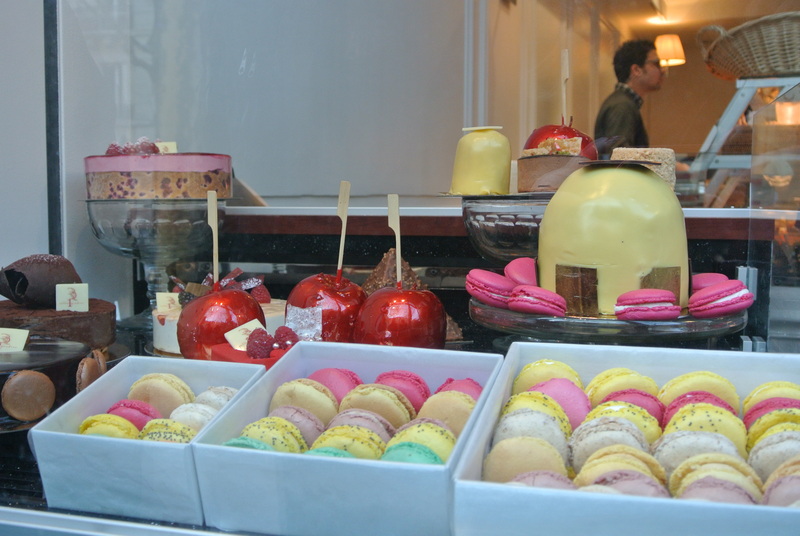 Wishing you all a very Happy St. Valentine’s Day, or as they say here, Bon St. Valentin! This entry was posted in SIGHTSEEING, THE WAY I SEE IT. Bookmark the permalink.